Heritage Place is a gated condo community has timeless beauty and beautiful grounds. The location is convenient to restaurants and shops, while still being tucked away from the noisy traffic of busy streets. 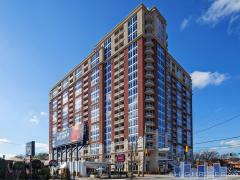 Heritage Place condos are on the Buckhead/Midtown border. These sophisticated homes will excite you with the upgrades. You’ll enjoy the terraces, beautiful hardwoods, granite, and the garage. Life at Heritage Place gets you access to the fitness center, concierge, swimming pool, and the media room. You won’t have to sacrifice anything to live at Heritage Place. Have any comments or questions about Heritage Place? Ask your question and/or share your thoughts about this Building.